You are invited to the Evening Chanting. If you are interested in practicing chanting (a form of meditation) in Pali join the monastic community for this ceremony. It will last about 30 minutes followed by approximately 20 minutes of meditation. This twice-daily chanting is an integral part of the daily monastic routine. 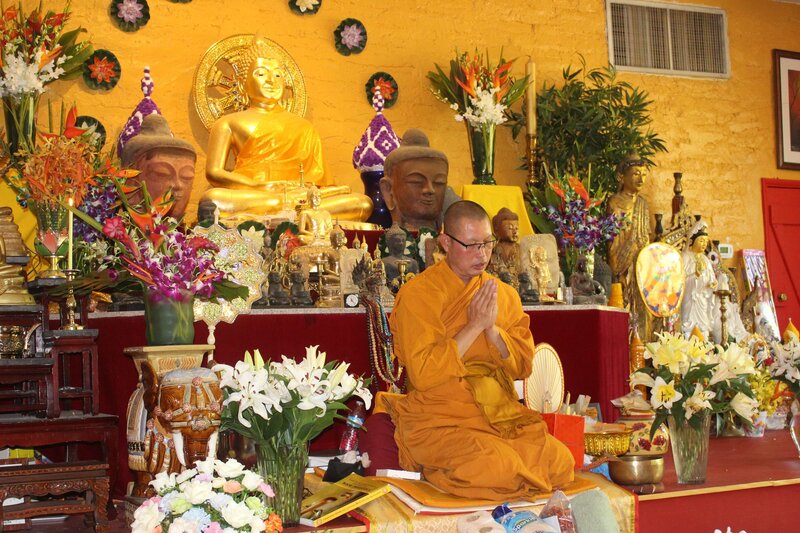 Chanting the suttas and paritta, the verses of protection and blessing, in Pali is an ancient way of preserving the teaching of the Buddha and is a characteristic of the Theravada tradition.